Widely hailed as the best and perhaps the most influential entry in the series, Yakuza 2 is considered a PS2 classic by many. Yakuza Kiwami 2 aims to fill those shoes, and for the most part it does, providing a great experience for both new and old players to enjoy. Kiwami 2 is similar to its predecessor in the way that it has been re-made from the ground up while retaining the signature flair and essence of the game it was derived from. 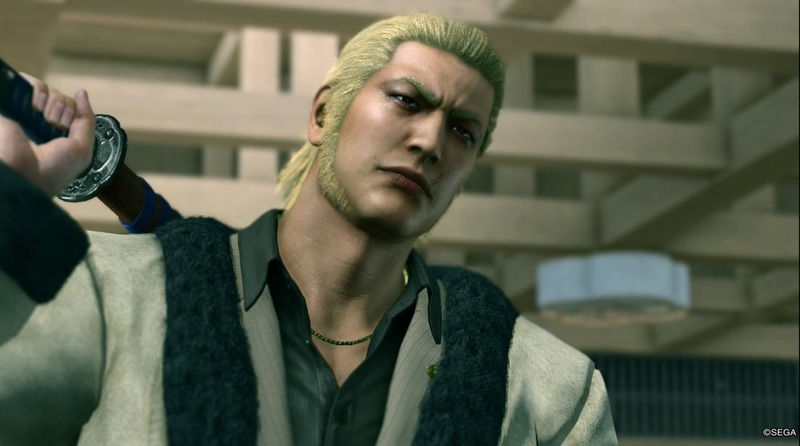 However, unlike Yakuza Kiwami, Kiwami 2 uses the Dragon Engine first seen in Yakuza 6: The Song of Life which breathes more life into the locations of Yakuza 2 and its combat system. 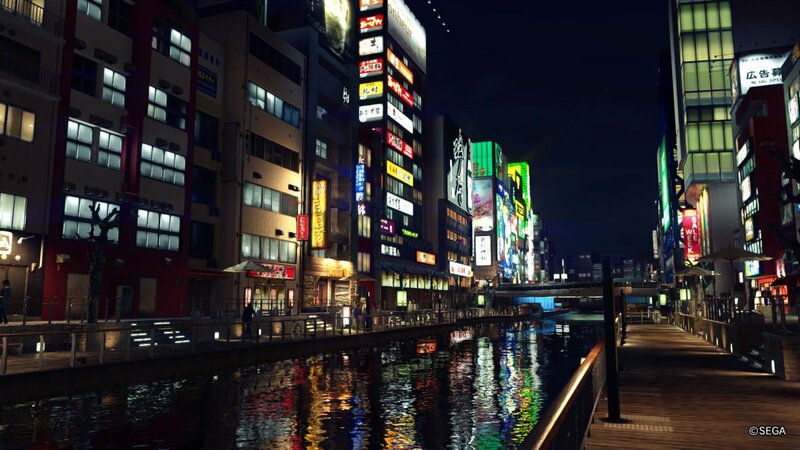 Sotenbori has been faithfully recreated in the Dragon Engine, previously seen in Yakuza 6, to an incredible degree of accuracy. Anyone who has been to or seen pictures of Dotonbori - the city that inspired the Osakan local for the Yakuza series - will recognize some of the more recent fixtures on local businesses. It was a treat to see Sotenbori in such vivid detail, and I spent a fair amount of time walking through the city snapping pictures and selfies with the citizens like I had in Yakuza 6’s locals. Kamurocho looks just as splendid, and for anyone who has already played Yakuza 6, you’ve already gotten a taste of what it will look like in Kiwami 2. 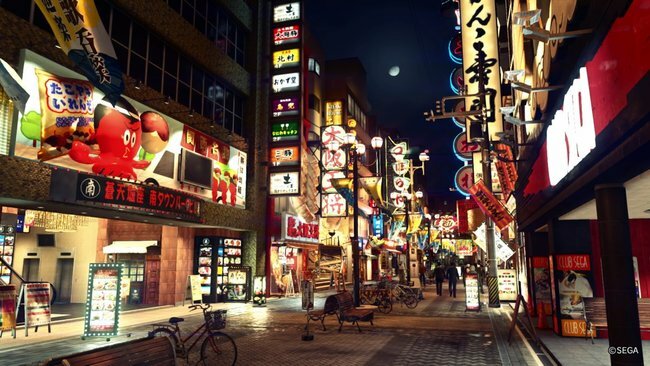 Neon lights decorate both locations during the twilight hours and these areas look absolutely incredible, and while the cities look just as great during the day the environments of Yakuza certain shine the brightest when the sun has gone down. However, there are some areas that were cut and won’t be returning from the original title - this being the Shinsei district in Osaka and the hotel district in Kamurocho. It was a shame that these areas didn’t make it into Kiwami 2 and while I was a little disappointed by this, it wasn’t enough to ruin my experience with the game. New players will more-than-likely not be impacted by this change, but older fans might feel differently. Regardless, new areas in Sotenbori have opened up with new activities, and there is certainly more than enough to see and do in both cities. 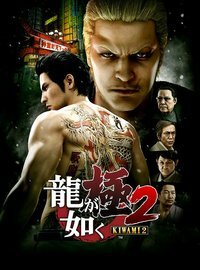 Using the Dragon Engine has benefited Kiwami 2 immensely, not only in visuals but in combat as well. Kiryu’s movements are incredibly fluid during battles - similar to Yakuza 6 - however, this time around Kiryu is much more agile and recovers far faster in comparison. It feels great to control the Dragon of Dojima during his prime, sending enemies flying and having a larger pool of Heat Moves to sample from. Other additional combat elements were added as well, such as equipping weapons and being able to select them using the d-pad. Weapon swapping no longer breaks the flow of combat and allows for a greater sense of depth and variety in fights. Feel the Heat returns from the original game, but it's much more dynamic this time around. Not only that, but bosses now have their own unique entry scenes which were originally introduced during the final encounter in Yakuza 3. Speaking of bosses, they felt considerably more difficult in comparison to the original game and I found myself struggling against certain encounters. With enough preparation I managed to get through, but the boss fights in Kiwami 2 are not to be taken lightly. Regardless, it was nice to see these new elements added into this ground-up remaster of Yakuza 2 as it gave me more to experiment with and more to see, as a result, combat was rarely ever boring. However, despite all of these visual and technical improvements Yakuza Kiwami 2’s story is definitely an indication of when the original script was penned over a decade ago. (If you’re worried about not being able to jump into Kiwami 2 immediately don’t worry because there is a feature within the first few minutes of the game that allows you to get a quick rundown of the events from previous games.) While the story itself is perhaps the greatest representation of a playable Japanese crime drama to date - this isn’t without some drawbacks. As a result, Kiwami 2’s main narrative is held back by some of the tropes that were very keenly present in the original version of the game. I won’t get too deep into the narrative itself to avoid major spoilers, but I feel like there are some things that should be mentioned. Characters like Kaoru Sayama, who is great in her own right, has her potential squandered by the usual trappings of the crime drama genre. This includes fragility inherently becoming a core part of her character as soon as the narrative demands it. Moments like this are especially hard to ignore given her introduction into the series itself. Despite this, Kiwami 2 still manages to shine as one of the best Yakuza games within the franchise with expert pacing and atmospheric cutscenes. The story of East versus West, the Dragon of Dojima versus the Dragon of Kansai, and all of the subterfuge, romance, and intrigue between will keep both new and returning players deeply invested. Interactions between Kiryu and Kiwami 2’s antagonist, Ryuji Goda, are still as interesting as when I first saw them. Yakuza has always been great at creating foils for their titular character and Ryuji is no exception. The sheer presence some of these figures exude just shows how well they were designed and written upon their inception, as some of them do manage to hold up, even ten years later after the original release of Yakuza 2. Additionally, Yakuza Kiwami 2 has an additional scenario where fan favorite Goro Majima takes center stage. These intervals happen every few chapters between the main scenario, yet still manages to keep the pacing intact. The story itself takes place a few months in Sotenbori before the events of Yakuza Kiwami 2 and includes one very special familiar face from Yakuza 0. 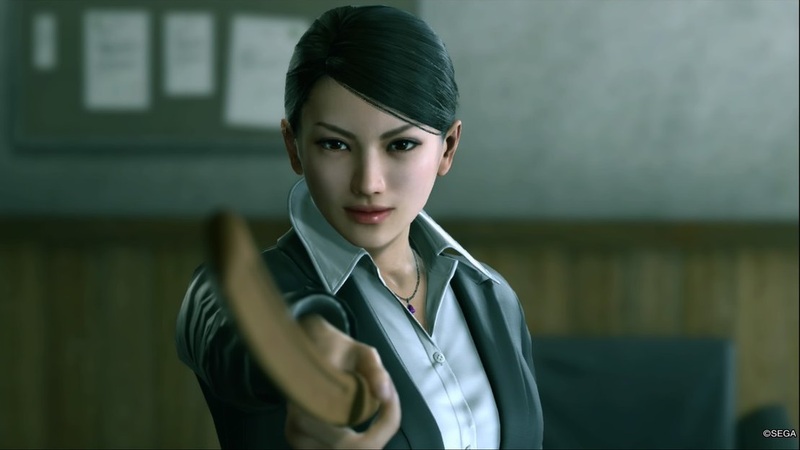 Makoto Makimura returns in the Truth of Majima Goro, and while her appearance is brief (much like the scenario itself if you run from objective to objective) it ties up any loose ends or speculations about what she’s been up to after the conclusion of Yakuza 0. Outside of the story components, players can play as Majima and use his signature Mad Dog fighting style to take out enemies. It's incredibly satisfying to play as Majima again, but this time in the Dragon Engine. Combat is remarkably fluid and smooth and it had me running around Sotenbori looking for more delinquents or errant groups of yakuza to rough up. However, he only has access to his Mad Dog fighting style, so if you were looking forward to breakdancing on your enemies or using them as batting practice, you’re out of luck here. Additionally, any money you make as Majima you can send to Kiryu to use in the main scenario which can prove useful if you don’t feel like grinding cash through fights or through Cabaret Grand Prix as Kiryu. That being said, Kiwami 2 is a faithful recreation and remaster of Yakuza 2, and marketing the game as having the most correct and authentic translations to date for this entry in the series is absolutely correct. While most corrections are minor, they do add to the overall experience of the game. And for those of you that had been bothered by some issues in the original 2008 release, you’ll be happy to know things like Kaoru Sayama’s title as the “Yakuza Eater” has been changed to the more appropriate “Yakuza Huntress”, for example. Just like in Yakuza 0, characters from Kansai retain their signature dialect which only adds to the immersion. Because of this, not only are characterizations improved upon and kept intact, but each local has a retained sense of uniqueness. Substories are also a returning component, many of which return from the original title while a few have been replaced with some new absurd happening for Kiryu to (sometimes unwillingly) participate in. The new substories were pretty enjoyable, most of them exploring different facets and types of jobs in Japan while still having some kind meaningful message at the end, while others tapped into the absurdist humor the series is widely known for. Additionally, new mini-games have been added, providing players with a wide variety of activities to participate in both in Sotenbori and Kamurocho. Most notably the cabaret club from Yakuza 0 makes a return in Kiwami 2. Cabaret Grand Prix comes with its own unique story similar to the cabaret in Yakuza 0. 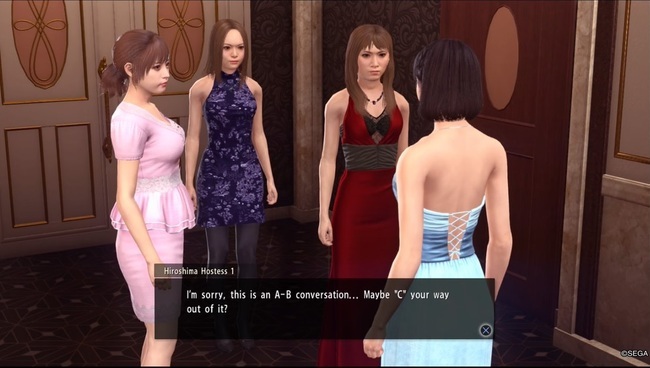 Kiryu is tasked with saving club Four Shine from closing its doors and, through this, you meet a handful of girls you can interact and engage in conversation with, similar to the hostess club feature in previous entries. I spent a lot of time building Four Shine’s reputation up and spending time with the new hostesses, conversing with them about their ambitions and learning about their unique personalities. It was also great seeing a few more returning faces from Yakuza 0 in this mini-game as well. The Clan Creator mini-game from Yakuza 6 also makes a return, but with a twist. Kiryu is now tasked with assisting Majima Construction, run by Goro Majima himself, with the game itself transforming into something more akin to a tower defense mini-game. I’ll admit that I didn’t spend much time with this mini-game since I found it to be pretty monotonous and not as enjoyable as Cabaret Grand Prix. If you enjoy tower defense games then this is for you. Returning mini-games include golfing, the batting cages, mahjong, shogi, blackjack, poker, and karaoke. Speaking of karaoke Majima is now available as a companion while singing karaoke. Majima himself also gets a unique song to sing during his scenario that I suggest anyone who played Yakuza 0 check out when given the chance. Overall, Yakuza Kiwami 2 is a great recreation of the original title. The core narrative is kept intact and the new translations add to the greater experience. Additional mini-games make for a great way to waste time and Majima’s scenario, while new, didn’t feel like an unwelcome addition. For those who are returning or veterans of the series, they’ll have more to explore and more to do and discover with the new additions. And for new players who are just getting their hands on this classic? They'll be able to experience the story of Yakuza 2 in a new and more accessible way.